Review: Cupcakes had their heyday in the US back in the late 00’s and early 10’s but I still am a sucker for a good cupcake. 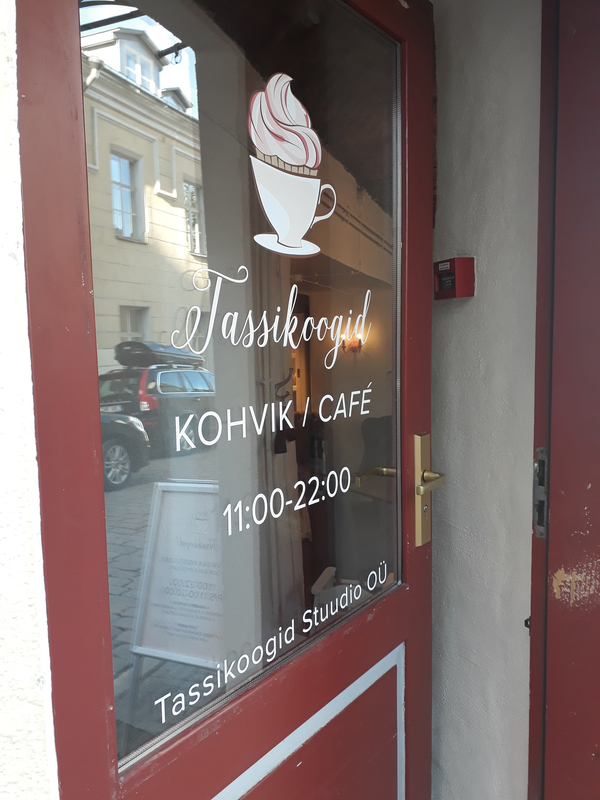 Tassikoogid is located in the middle of Old Town and it’s very easy to find as the outside of the building is pink with cupcakes and cakes in the window. 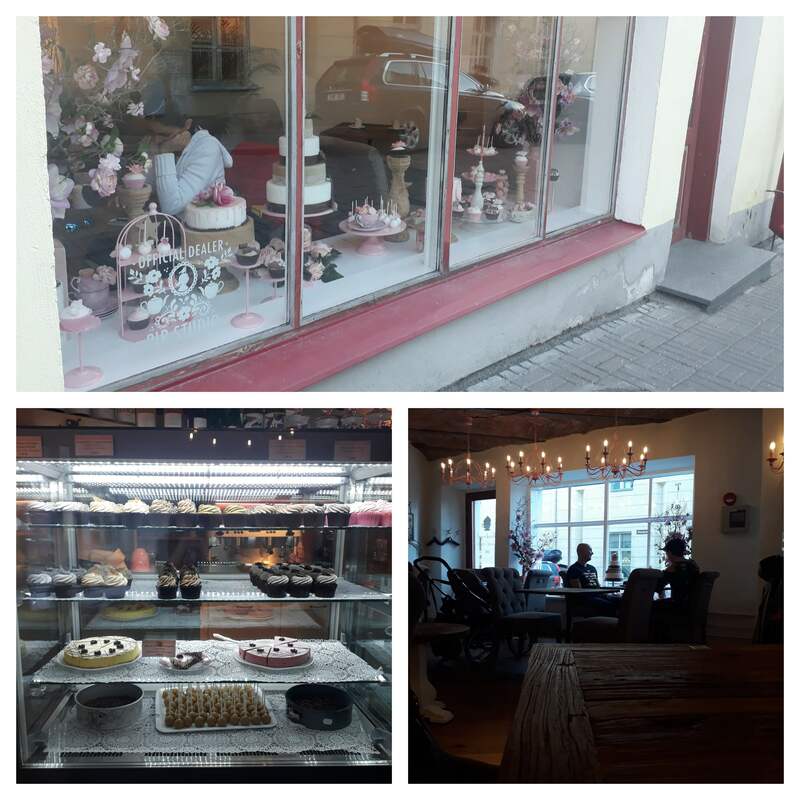 It’s one of the few places, or possibly the only place, in Tallinn that focuses on cupcakes. 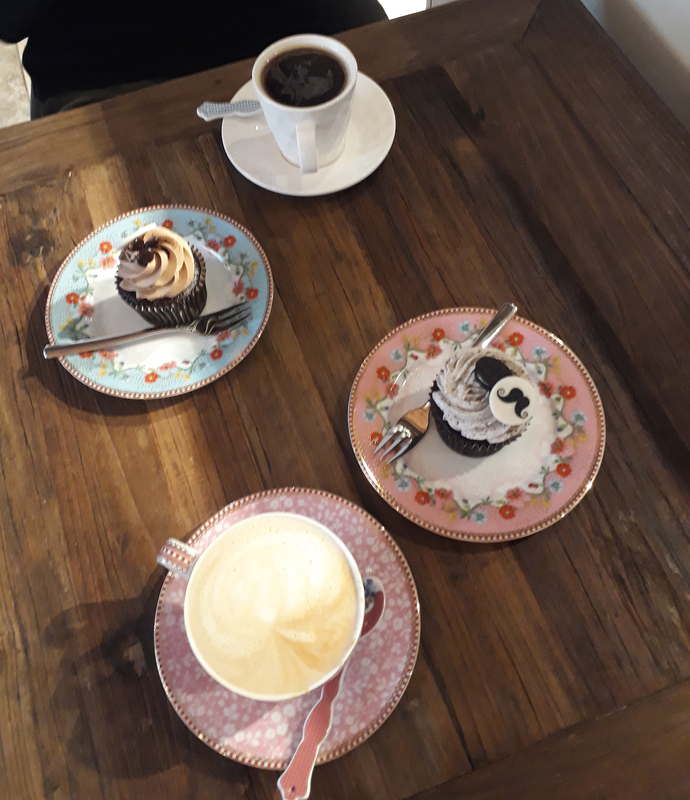 While they do have a few cake and macaroon offerings they mostly have cupcakes and their cupcakes are mostly of the standard variety: vanilla, chocolate, oreo, salted caramel, etc. All the cupcakes they offer are impeccable though and the display cases are lined with precision and thought making everything look extra appealing. They offer only sweets and a variety of drinks (coffees, teas, alcohol, especially bubbly alcohol) and they do custom orders of cakes and cupcakes as well. 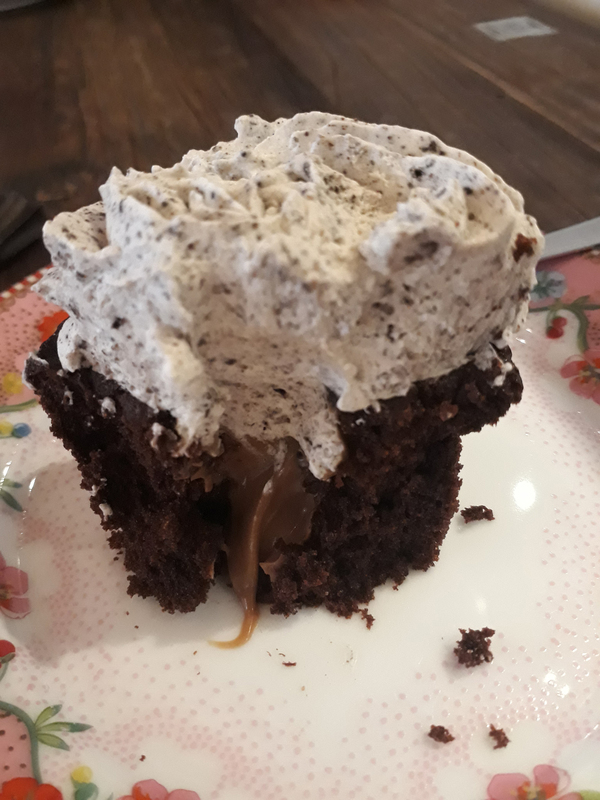 Their kitchen is part of the seating space which means that you can watch as they make these perfectly crafted delights while you enjoy a cupcake and a coffee. Since the cafe is in Old Town, the space isn’t terribly large but they use it fairly well. It feels comfortable and almost Victorian. I would describe this as a place where you might hold a tea party even though that’s not what the space is for. The decor is really lovely and clean and all the plates / cups / spoons were very cute (and purchasable on the back wall). I should also mention that every cupcakes comes with the choice to add on a small white chocolate accessory. They came in all different motifs, I added the mustache and Greta added “bride to be” for maximum whimsy but they ranged from “I love you” all the way through “happy new school year” and plenty of Estonian flags and 100 anniversary chocolates. I was really impressed by the care and fun this added to personalizing each cupcake experience. Greta got the Chocolate Cupcake which touted a “surprise” inside. It’s a simple rich chocolate cupcake with a milk chocolate frosting on top as well as small coffee beans that actually turned out to not to be chocolate covered coffee beans (which we both expected) but simply chocolate molded into the shape on coffee beans. The surprise inside was a soft chocolate core. Just a completely chocolate extravaganza. I ordered the “children’s favorite” Oreo Cupcake. This featured a small Oreo on top, a chocolate cake base and frosting made with Oreos. Inside my cupcake was a surprise as well which seemed to be some type of caramel or butterscotch pudding. It was really fun to discover it suddenly and it paired really nicely with the chocolate cake. The interesting part about these cupcakes was that the frosting was more cream than buttercream, making it lighter and much easier to eat. The coffee at this place was pretty good. The service was absolutely delightful and the lady who served us was very fun and pleasant to us during the visit. All cupcakes are served with a fork which confused me at first since I have never eaten a cupcake with a fork but since the cake is so soft and the frosting is much thinner than buttercream, this actually served as a pretty effective way to eat the cupcakes without making a mess. Overall, I loved this place. 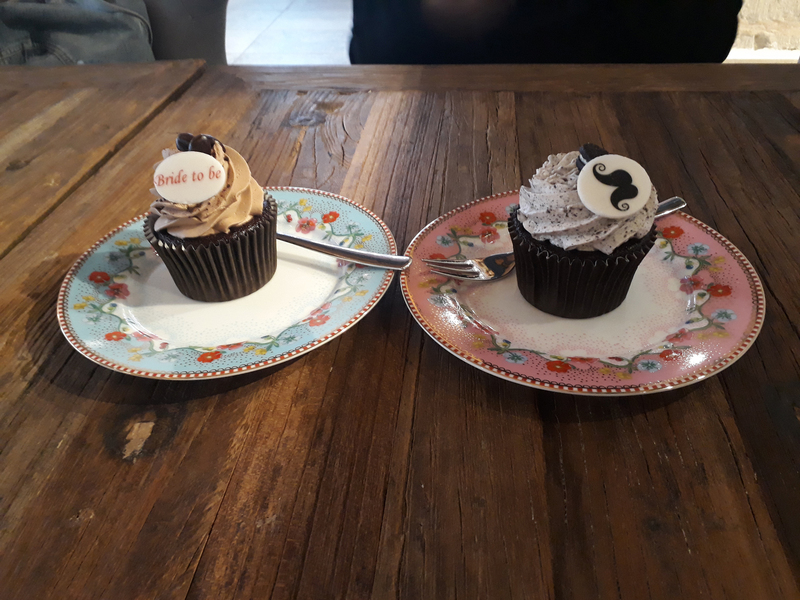 I almost ordered a second cupcake while we were there. I almost wanted to hold a birthday party in the cafe and I feel like that is something they might accommodate but at least, if I were having a birthday party and wanted cupcakes, I absolutely know where to go. This cafe deserves a second visit in the future for sure!